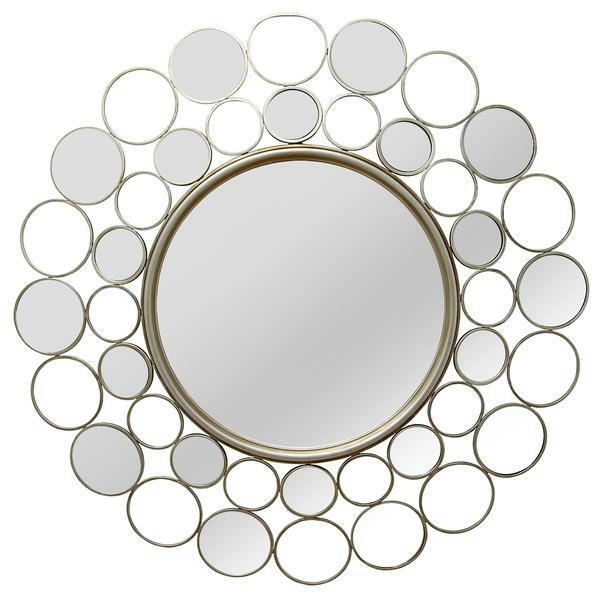 Kimball if fun free flowing design of light and darker rounds surround a beautiful center mirror. A perfect focal point for any design. Made from metal with a hand painted champagned finish. Customizable for larger orders.